Choosing a favorite photo of myself is actually quite difficult. I have a few photos that I quite like, but over the past few years, two fairly significant things have changed how I view my own photos. First, in 2011, at age 42, I stopped wearing wigs after working out how to fudge my hairline. After that, I found that I just wasn't all that keen on older photos where I was wearing a wig. Then in 2012, I decided to challenge myself to try to pull off the 1950s pinup style. 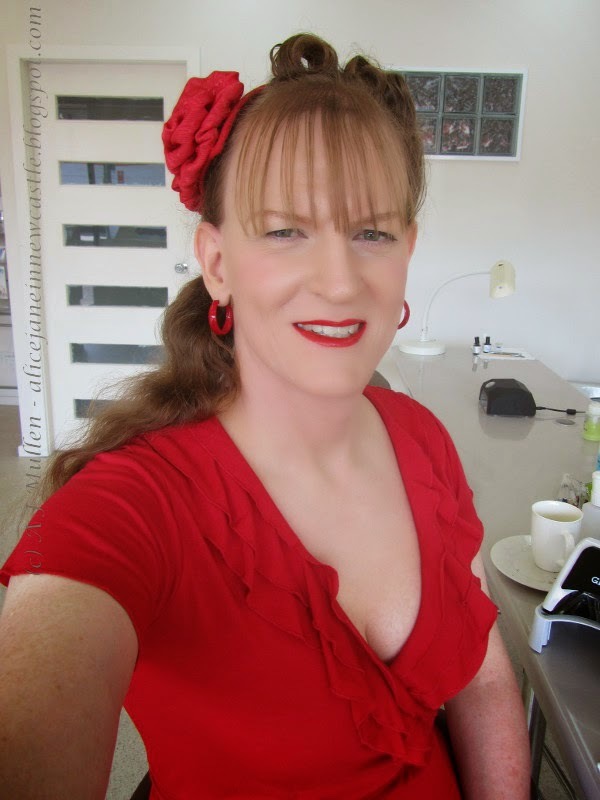 There were several reasons, including that it adds a lot of hair styling options and high stiletto heels are a perfectly acceptable part of the look, even when wandering around a shopping center. ;-) Fairly soon, I found that I wasn't all that keen on older "plain" photos. I like this photo so much that it's now the profile photo on my boy profile on Facebook! I'd wear that to work this spring! 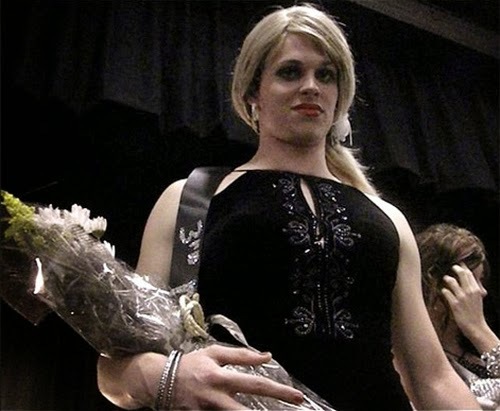 If she came in third, imagine what the winner of this womanless beauty pageant looked like! Alice! I love that your using this photo as your boy Facebook photo! I'm this close || to coming out. And will answer most with no I'm not having GRS, I'm just increasing my clothing options!